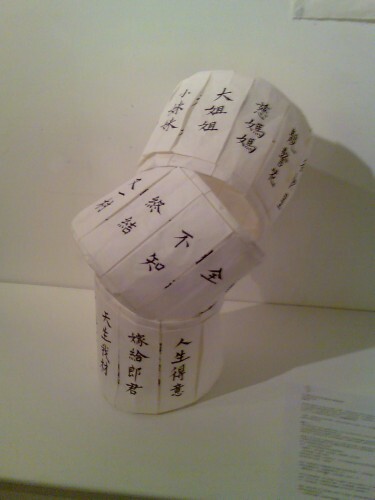 A collection of common Chinese proper nouns, idioms and ideas written on a scroll. It’s a Chinese ritual of reincarnation, which is also a similar idea of Nietzsche of eternal recurrence. Every matters written on these scrolls are of an eternal recurrence, looping endlessly along of the flow of time. It gives a feeling of death and offspring.